OMG! What a big word … The kind of word that’s impossible to say without tripping. Yet that’s exactly what’s involved with the Phi Centre: Multidisciplinary! 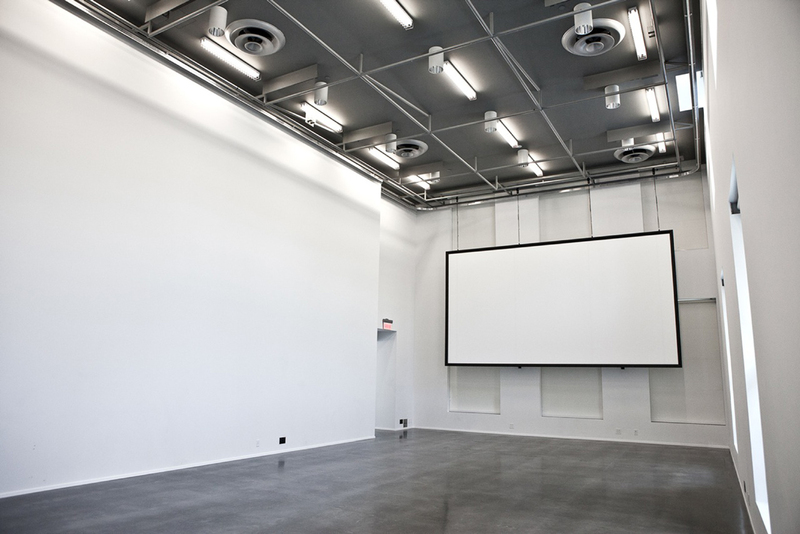 We worked with Phoebe Greenberg and her team in the establishment of a superb art center that combines movies, exhibitions, panels and live performances of all kinds. 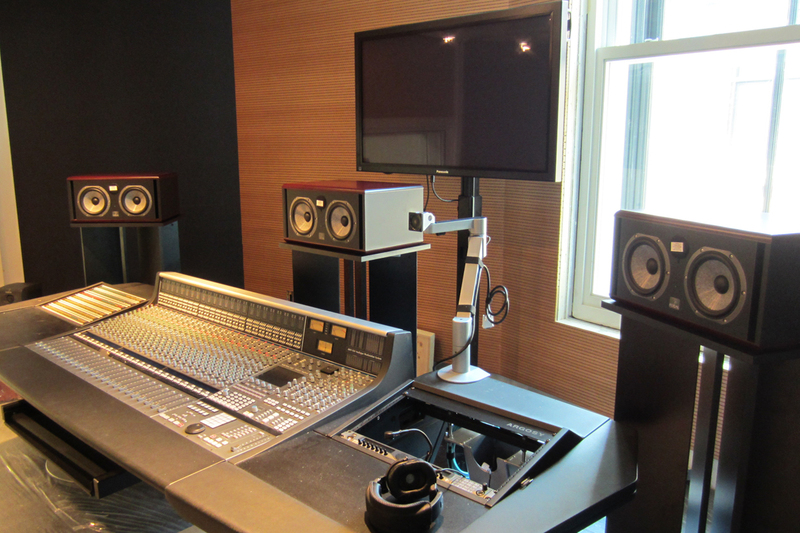 Not to mention that the entire center can be transformed into an audiovisual recording studio where established artists have already enjoyed the cutting edge technology of the facilities. 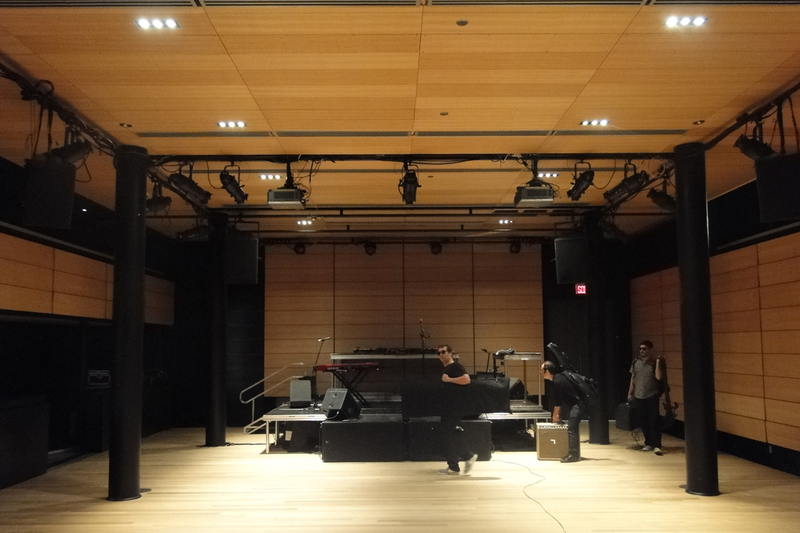 Theater, art gallery, recording studio, video post-production, webcasting: multidisciplinary. See the reportage on Radio Canada. Beautiful timelapse for exploring the PHI Centre. We worked on the overall implementation of the scenographic spaces and the media and technology concepts. We made ​​sure that every room could communicate. For this, we have developed a refined communication network allowing all the weariness sought out by the operator. Particular attention was given to the tight integration of infrastructure and its equipment. A good example is the swivel wall panels which have the dual function of providing two acoustic choices (absorbs or reflects) and hiding all the interconnecting wiring and multimedia network. Creative designers of entertainment, educational and fun spaces.